Many people believe that the cleverly marketed fat burning products for sale today are that genie who will grant their wish when they use their credit card to open the bottle. Especially when well known TV, radio, and media personalities promote the products. One person who is very close to me bought into the marketing hype of a product claiming to increase metabolism and produce the instant weight loss, despite my advise not to. After 3 weeks he was noticing his hands were numb. The second symptom was a racing pulse. A week later he had migraine headaches three days in a row. The doctor told him to throw that weight loss supplement (the doctor used the work “crap”) away before he seriously hurt himself. Now my friend is following my suggestions for losing weight. I read the labels of several miracle metabolism boosters. Here are some of the most popular ingredients, what they claim to do and what they really do. Chromium supplements are claimed to help you burn body fat and build muscle. There is no real scientific evidence that indicates that chromium aids weight loss, however there is some evidence that chromium (as chromium picolinate) may cause cancer. Ginseng has been used for over 4000 years in the Orient as an "energy booster". Today many people take ginseng products to boost their own energy levels and increase the ability to exercise, thus burning more fat. In double blind placebo controlled studies of ginseng the researchers concluded that oral ingestion of ginseng for 7 days prior to exercise did not improve exercise performance when subjects rode an exercise bike. Ma Huang, ephedra, or ephedrine mimics the effect of stimulating hormones like adrenaline in the body Ephedrine is a drug that is widely used in over the counter cold and asthma medications and is also found in weight loss products even though there is no substantial evidence that it is an effective weight agent in obese individuals. Ephedrine is known to elevate one's blood pressure and heart rate and may also result in restlessness, headaches, dizziness and insomnia, psychosis, memory loss and muscle injury. If you are currently using an ephedrine containing product for weight loss throw it away right now! Pyruvate has ballooned into one of the biggest selling weight loss products on the market today. Pyruvate is a molecule formed during the breakdown of sugar (glucose) for energy. Unlike the vast majority of weight loss products on the market today, pyruvate does have actual scientific studies in reputable scientific publications backing up it's claims. However closely analyzing the results of those studies makes one wonder if it really works in the miraculous way that is claimed by weight loss product manufacturers. Increased metabolism is one promise from proponents of pyruvate. This claim that combinations of pyruvate and the substance dihydroxyacetone result in greater metabolisms is based solely on studies using rats, not humans. The most recent human study found that those using pyruvate and dihydroxyacetone actually had lower metabolisms at the end of the study than those who did not use them! Enhanced weight loss is the biggest claim from using pyruvate and the few studies investigating pyruvate’s role in enhancing weight loss say that it works. However, the subjects in the studies were extremely obese (200 lbs overweight), the subjects were on very low calorie diets (500 calories per day), and the increased amount of weight lost in the group using pyruvate was only an average of 1.5 - 2 lbs per person more than the control group. So there is no evidence that pyruvate would aid weight loss in the average individual. Set a goal and commit to achieving it. Measure yourself. 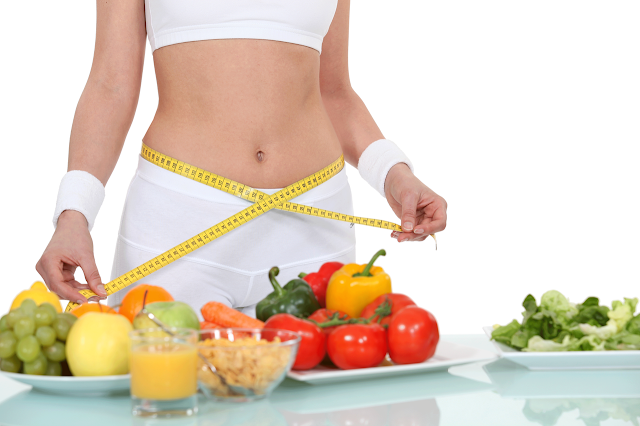 Set a goal for losing 1-2 lbs a week or ½ - 1 inch per measurement each month. Re-measure every 4 weeks, then reset your goal. Do strength training exercise. Lift weights or use resistance bands. Muscle is metabolically active tissue, so increasing it will help your body burn more fat. When a person does regular resistance workouts it can increase the metabolism up to 8.3%. Exercise daily with strength training, aerobics, or both. Keep that body moving every day. Think of it as your "metabolic optimizer" workout, spreading your efforts over all 7 days of the week. Eat 4-6 smaller meals a day. Every time you eat, you increase your metabolism. It takes energy to digest your food. When you go for long periods without eating, you shut your metabolism down, most often resulting in overeating at your next meal. Keep your metabolism high by spreading your calories out. Drink 8-10 glasses of water minimum per day.